Note: this is an informational overview of IGF-1. For a list of recommended supplements, please see the Best IGF-1 Supplements of 2019. How IGF-1 works in the body. 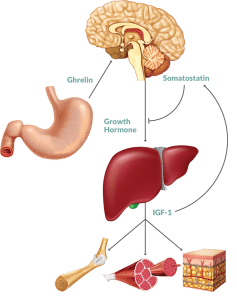 Insulin-like Growth Factor 1 (IGF-1), sometimes referred to as Somatomedin, is a hormone mainly produced by the liver that regulates much of the growth-promoting effects of HGH. It gets its name from its “insulin like” characteristics and actions in some of the body’s tissues; however, IGF-1 is not as strong as actual insulin when it comes to decreasing blood glucose concentrations. 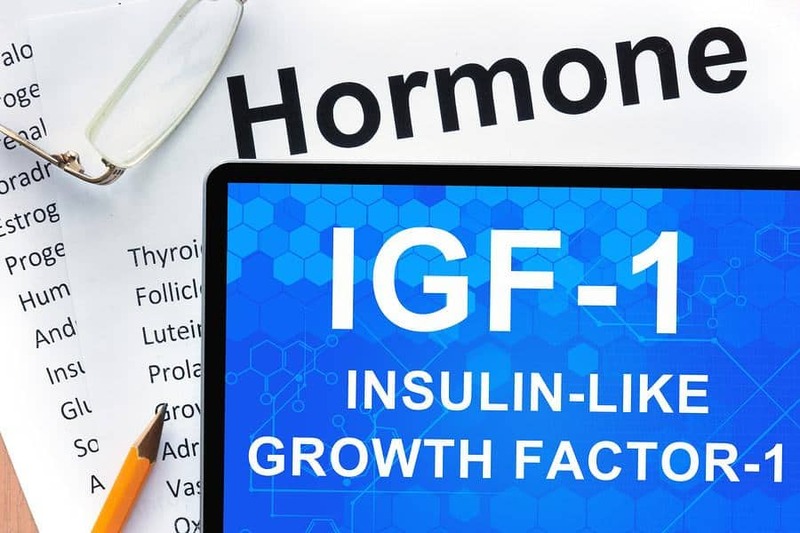 The name IGF-1 is given because there is another insulin-like growth factor named IGF-2, but while these two hormones sound alike, they function much differently. The primary role of IGF-1 is to function as a facilitator of the growth hormone (GH) produced by the pituitary gland. 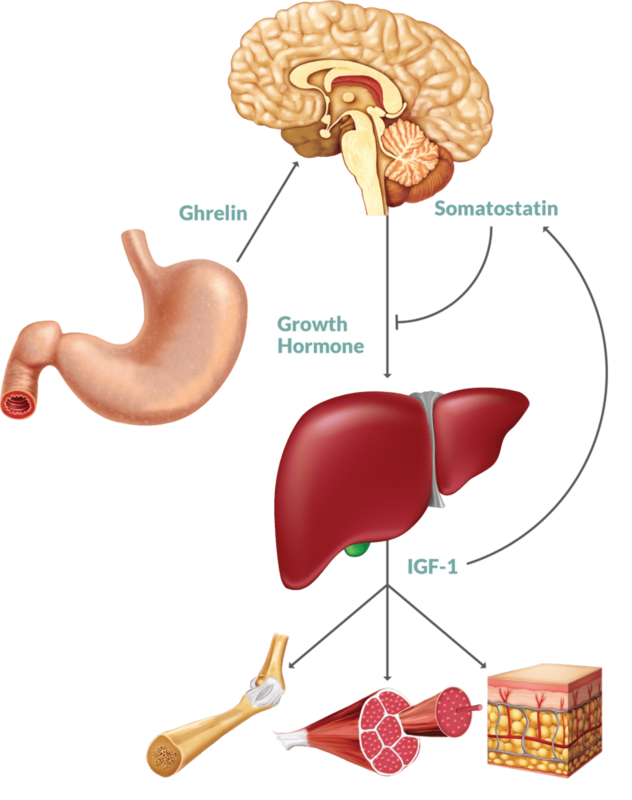 While GH is produced in the pituitary gland, you’ll find production of IGF-1 taking place primarily in the liver. IGF-1 plays an important role in the regulation of growth hormone in your body. This regulation affects growth, as well as other areas. Here are some major areas where IGF-1 can affect the human body. Severe primary IGF deficiency is an endocrine condition where the patient has normal to high levels of HGH, yet exhibits abnormally low growth stature due to low levels of IGF-1. Since it’s responsible for regulating the growth-promoting effects of HGH, inadequate amounts of IGF-1 will prevent growth hormone from being properly utilized. Laron syndrome is a form of dwarfism, where the body becomes resistant to HGH treatments due to an absence of growth hormone receptors. IGF-1 use can be introduced to help with this condition. Acromegaly is a growth condition caused by elevated levels of HGH and IGF-1. It can be caused by a number of disorders, the most common being a pituitary tumor (pituitary adenoma). Symptoms include enlarged hands, feet, forehead, nose, and jaw; also headaches, joint pain, and a deepened voice, among others. IGF-1 production typically peaks in the teenage body and comes about when an individual hits puberty. You can see that represented in the table below at around age 15 to 16. The following levels can be found in teen boys as they get older and on into their later years. IGF-1 is measured in nanograms per milliliter (ng/mL). 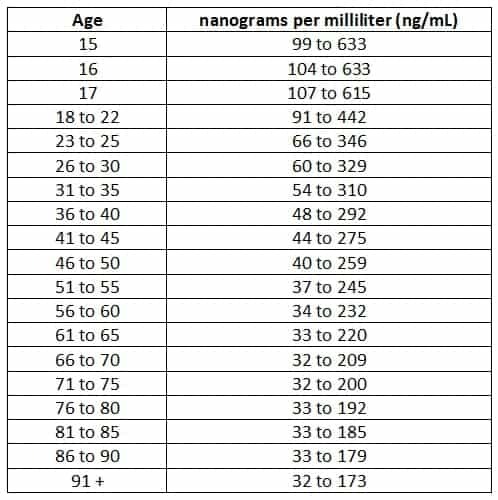 As you can see, the numbers drop off significantly with age and can range from a high of 633 to a low of 32 nanograms per milliliter (ng/mL), from ages 15 to 91 and older. IGF-1’s major benefits seem to be in the medical community, where introduction of IGF-1 to an individual severely lacking in GH and IGF-1, such as someone who suffers from Laron Dwarfism can help them tremendously. Due to its nature of growth regulation, there are some who have used IGF-1 with the intention of using it as a means of slowing down the aging process. While this could have tremendous potential for anti-aging enthusiasts, there just isn’t enough research to prove it. There are also many differing opinions when it comes to IGF-1 as it relates to aging. True synthetic IGF-1 must be obtained through a physician, so IGF-1 supplements purchased online more than likely do not contain actual IGF-1. There are some users of IGF-1 “like” products who have reported increases in strength, however these reports have yet to gain scientific backing. While you may decide to take IGF-1 or IGF-1 “like” products, you will need to determine what your individual IGF-1 levels look like. Here’s some data that can help. While true synthetic IGF-1 can make a major impact for someone with a clear deficiency, IGF-1 “like” supplements have received differing opinions. Some vouch for its benefits as an anti-aging supplement, as well as a muscular growth and strength supplement. However, keep in mind that these benefits have not been proven conclusive at this time. As the table earlier shows, the older we get the less IGF-1 can be found within the human body. Since IGF-1 works as somewhat of a mediator for GH, this decrease can have a tremendous effect as one gets older. There have been studies and research done that have shown longevity from IGF-1 use within animals. However, the data on humans differs. Again, as mentioned earlier, there are many different opinions when it comes to whether or not IGF-1 can be used as an anti-aging agent. Only time will tell as more research is done on this subject, but count some in the bodybuilding community as proponents when it comes to IGF-1 and its positive benefits on the human body (see below). 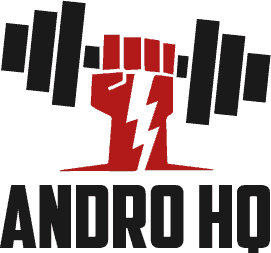 IGF-1 used in combination with HGH might seem like a recipe for bodybuilding success, however one must keep in mind that true human growth hormone can only be administered by a physician under specific circumstances. A simple desire to build more muscle may not constitute a required circumstance. While there are bodybuilders and weightlifters who claim benefits and gains from using IGF-1, there is not enough research that shows the use of IGF-1 alone can yield greater bodybuilding gains. It is also important to note that just as GH requires a physician to administer, so does synthetic IGF-1. If you plan on purchasing IGF-1 supplements, keep in mind that it is not the actual IGF-1 itself. So, if you plan on taking it, how much should you take? The dosage of IGF-1 will vary from person to person, condition to condition and age to age. For example, in children who suffer from severe IGF-1 deficiency, twice daily administration of IGF-1 in doses of 80 to 120 µg/kg was found to be effective. When it comes to dosing of IGF-1 “like” supplements, that amount will vary from person to person and will be dependent upon the specific IGF-1 “like” supplement as well. It’s recommended that you speak with your Primary Care Physician before taking such supplements, as you will want to know the interactions it may have with other medications and/or side effects you may possibly suffer as a result of consumption. Due to IGF-1 acting as a major component in growth, one of the major side effects of IGF-1 therapy and use is an increased risk of cancer or an acceleration of a cancer developing. Use of IGF-1 can also cause an increase in the production of acne. Use of IGF-1 “like” supplements and its related side effects will vary from product to product as each may contain different ingredients. It’s best to do your due diligence on these products alongside a trained professional such as your physician, to better understand what could come about from taking it. Through the information covered here, the hope is that you gained a better understanding of what IGF-1 is, true IGF-1 versus IGF “like” products, and what you can come to expect from using it. If you feel that you are truly lacking in IGF-1, then you should visit your physician to determine the best course of action to take. If you are looking to gain the anti-aging and muscular growth benefits that many others are touting, then you should do your due diligence when selecting a specific supplement. As with any type of supplement, gain as much understanding and knowledge on the subject, so that you can make the most informed decision possible. See Also: The Best IGF-1 Supplements of 2019.